It was in 1717 AD, when an era of comparative peace and harmony dawned on the European scene, that the Grand Lodge of England took shape. It is, therefore, of interest that within about 12 years thereafter a petition was sent by a few brethren in India to constitute a Provincial Grand Lodge in Calcutta. The Petition having been granted, a Provincial Grand Master was appointed in 1728 AD to supervise Masonic activities in India and the Far East. A number of Lodges established in 18th and 19th century belonging to various Constitutions viz. Dutch, French, Scottish, Irish, Danish and English flourished in different parts of India. But the ones that survived till Independence of India from British Rule in 1947 belonged only to English, Irish & Scottish Constitutions. It is not possible to say with any accuracy when, or to whom, the idea of the formation of a Grand Lodge of India first occurred. In the early 1950's the Indian Masonic Journal carried some correspondence, and at least one editorial leader, on the formation of a Grand Lodge of India. As might be expected, a wide variety of views were expressed in that correspondence and no action appears to have been taken by any of the responsible authorities. It was in 1956 that the first real consideration was given to the establishment of a sovereign Grand Lodge of India and indeed, following a joint Conference in Dublin of The Grand Lodges of England, Ireland and Scotland in October of that year, it was agreed that the views of the Brethren in India should be sought. As far as Scotland is concerned, a poll which was taken in the Spring of 1957 showed that a considerable number of Lodges were in favour of a Grand Lodge of India. Two year later - in 1959 - the then Immediate Past Grand Master of Scotland - Lord Macdonald of Macdonald - accompanied by Grand Secretary, Dr. Alexander F. Buchan, paid an official visit to India and took the opportunity of discussing with a number of Brethren, the question of a formation of a Grand Lodge of India. Lord Macdonald was much impressed by the views put before him and on his return to Scotland he consulted the Grand Masters of England and Ireland as to what steps might be taken to permit of the Brethren in India having their own Grand Lodge. In 1959 at a Conference held in London, the Grand Masters of the three British Grand Lodges expressed their unanimous opinion that an Independent Grand Lodge of India was desirable and that its establishment should be gradually but actively pursued. In January 1960, the District Grand Lodges in India under the three Constitutions were directed to nominate members of a Steering Committee under an appointed chairman. The terms of reference to the Committee were, To consider the steps to be taken to establish a Grand Lodge of India and the advice to be given to our Grand Lodges thereon'. Lieutenant-General Sir Harold Williams, a Brother of the Irish Constitution, was appointed Chairman and the Steering Committee met frequently and discharged its duties with great assiduity. In due course the Steering Committee submitted its report, which was accepted by the three Grand Masters in all but most minor details. The report recommended, among other things, that all the Lodges under the three constitutions in India should be invited to consider and decide whether or not they wished to opt to form the new Grand Lodge. The Steering Committee's repot also dealt with such important matters as a Declaration of Principles; a draft Book of Constitutions; the appointment of its first Grand Master; the Regional Organisation; the rights of individuals and Lodges; provisions relating to Finance, Buildings, Regalia and the future of local and district Funds; the consequences of setting up of an independent grand Lodge; and the procedure to be followed by individual Lodges. This Report was embodied in a Memorandum sent to all Lodges in India under cover of a Foreword, dated December 1960, signed by the three Grand Masters. The Foreword stated, among other things, that the attitude of the three Grand Lodges with regard to an independent Grand Lodge of India was indicated in the terms of reference for the Steering Committee, but that it was for the Brethren in Lodges in India to decide for themselves whether to opt for or against joining such a body. Much preparatory work had been done by the Committee set up to advice the Grand Masters, but the all-important question had to be decided at Lodge level. If the Brethren in India decided in favour of an independent Grand Lodge, then the three Grand Lodges would accept the decision and would wish to establish the closest fraternal relations with the new Grand Lodge of India. 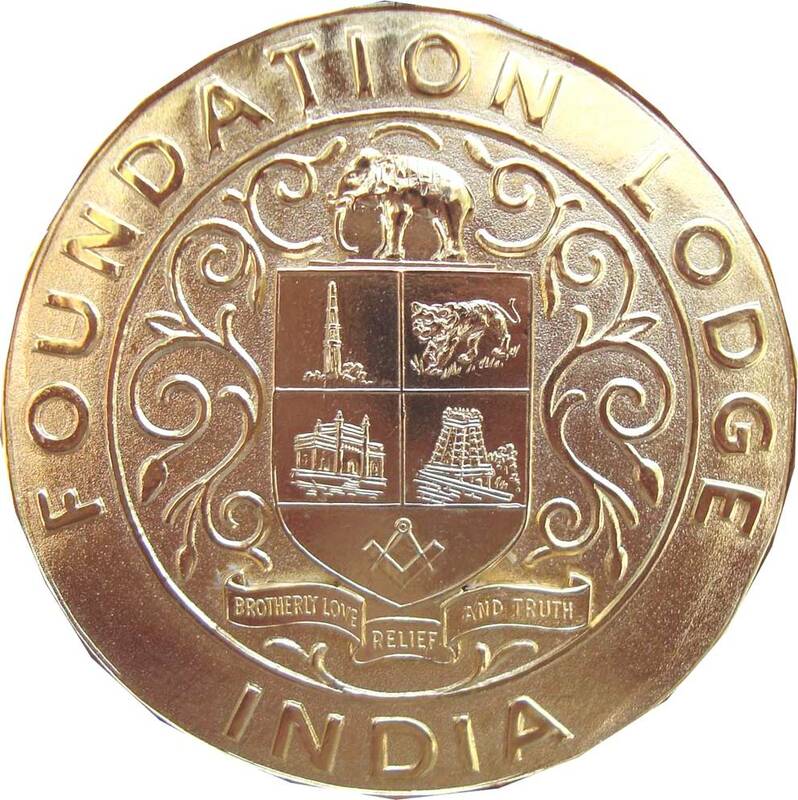 All Lodges which opted to form the new Grand Lodge of India would immediately after the date of the Inaugural Meeting, return their existing Charters and would come under the jurisdiction of the Grand Lodge of India from the date of the Inaugural Meeting. Lodges which opted before the 30th of September 1961 would be numbered serially according to the date of their original formation. Masonic funds, effects and properties of Lodges which opted to form The Grand Lodge of India, would continue to vest in those Lodges. After the Inaugural Meeting, the three United Kingdom Grand Lodges would not issue Charters for any new Lodges within India. All the Lodges in India were directed in the Memorandum to meet and discuss and resolve on the question of joining a Grand Lodge of India. To ensure uniformity, the proposition to be placed before each Lodge would be, 'That this Lodge do opt to join the proposed Grand Lodge of India on its inauguration'. It was emphasized that before the vote was taken, every effort should be made by Masters to ensure that members were fully aware of their responsibility and appreciate what was involved. Adequate notice had to be given of the meeting at which the voting would take place. Voting was to be by secret ballot, and the proposition was to be determined by a majority of votes of members present, the Master having an additional casting vote in the event of voting being equal. The memorandum stated in conclusion in the Grand Masters expressed the firm hope that minorities, in Lodges where the voting was not unanimous. would abide by decision of the majority and unite with it furthering the activities of the Lodge under whichever Grand Lodge, old or new it thereby decided to place itself. When all the Lodges, English, Irish a Scottish, had voted, it was found that approximately 50 per cent, of the Lodges in each Constitution had opted to join the new Grand Lodge of India. In point of fact, the new Grand Lodge of India began life with one hundred and forty-five Lodges upon its Roll. The consecration meeting took place the Ashoka Hotel, New Delhi. An Occasion Lodge was opened with Right Worshipful Brother Kenneth Large, District Grand master for Bengal as Master. The Wardens' Chain were filled by Brothers C.M. Shahani and W.G. Miller, form the Irish and Scottish Constitutions respectively. After the Lodge had been opened in all three degrees, deputations from the Grand Lodges of Scoltand, Ireland and England - in that order - were received. The deputations consisted of (from Scotland) - The Earl of Eglington and Winton, Most Worshipful Grand master Mason; Dr. Alexander F. Buchand Right Worshipful Grand Secretary; Geroge S. Draffen, Very Wroshipful Junior Grand Deacon; and S. W. Love, Past Provincial Grand Master of Renfrewshire East. (from the Grand Lodge of Ireland) - Right Worshipful Brother George S. Gamble Deputy Grand Master; Worshipful Brother Sir Basil A.T. McFarland, Bart, Provincial Grand Master of Donegal; and Worshipful Brother Canon R. R. Hartford, past Grand Chaplain. (from the United Grand Lodge of England - Right Worshipful Brother. The Earl Cadogan, Deputy Grand Master; Very Worshipful Brother J. W. Stubbs, Grand Secretary; Very Worshipful Brothers Canon J. R. Robson and Canon Mortlock, Past Grand Chaplains; Very Worshipful Brother Frank W. R. Douglas Grand Director of Ceremonies and Worshipful Brothers H. G. Potts and Lt. Col. M. G. Edwards, Past Deputy Grand Directors of Ceremonies. After the three deputations had been received and seated, the Grand Master Mason of Scotland proceeded to the consecration. Thereafter the Deputy Grand Master of Ireland officially constituted the new Grand Lodge saying: "In the name of the Grand Lodges of England, Ireland and Scotland, and by command of their Grand Masers. I constitute and form you, my good Brethren, into the Sovereign Grand Lodge of India, and you are empowered henceforth to exercise all the rights and privileges of a Grand Lodge according to the ancient usages and landmarks of the Craft. May the Grand Architect of the Universe prosper, direct and counsel you in al your proceedings. After the consecration and constitution, the Deputy Grand Master of England assumed the throne and installed Major General Dr. Sir Syed Raza Ali Khan, G.C.I.E., K C. S.I., D. Lit., LI.D. His Highness the Nawab of Rampur as the first Grand Master of the Grand Lodge of India. Thereafter the new Grand Master announced his appointments as Deputy Grand Master and Assistant Grand Masters who were invested and installed. This was followed by the appointment of the Regional Grand Masters and the appointment and installation of the Grand Officers of the Grand Lodge of India. Among the Officers of the new Grand Lodge of India it is of interest to observe that, following the custom of the Grand Lodge of Scotland there is an office or 'Bearer of the Volume of the Sacred Law.' There were in fact five Brethren installed into this office, each Brother bearing a separate Volume of the Sacred Law - The Gita, The Koran, The Granth, The Zend Avesta and The Bible. 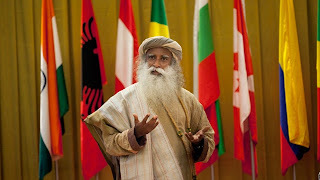 In addition to the three parent Grand Lodges, the M.W.Grand Master of the Grand Lodge of the State of Israel, the M.W.Past Grand Master of the Grand Lodge of Alberta (Canada) and about 1,491 Brethren from all over India were present at this historic event. 1. November 27: Inauguration of Regional Grand Lodge of Northern India by M.W.The Grand Master, M.W.Bro. Maj.Gen.Dr.Sir Syed Raza Ali Knan, H.H.The Nawab of Rampur. 2. December 2: Inauguration of the Regional Grand Lodge of Eastern India by R.W.Bro. Bhogilal C. Shah, Dy. G.M. 3. December 6: Inauguration of the Regional Grand Lodge of Western India by R.W.Bro. Bhogilal C. Shah, Dy.G.M. 4. December 9: Inauguration of the Regional Grand Lodge of Southern India by R.W.Bro.Bhogilal C.Shah, Dy.G.M. 5. May 14,1962: Lodge Kumaon (Nainital No. 1870 EC consecrated on 12.8.1888) opted to join the Grand Lodge of India and was numbered as No.148 GLI since in the mean time two Lodges viz. Lodge Shanthi was consecrated on 9.12.1961 and Lodge Bhogilal Shah granted the Warrant by GLI on 10.3.1962.